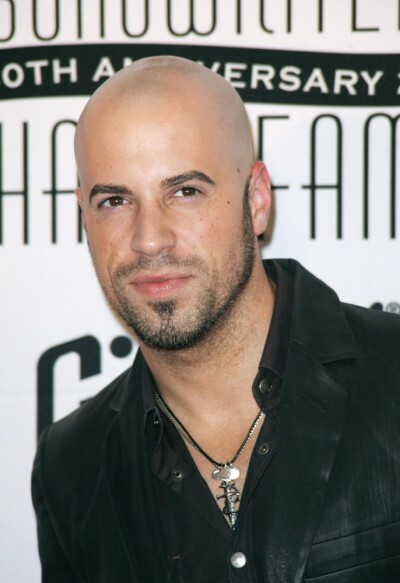 Place of Birth: Roanoke Rapids, Halifax, North Carolina, U.S.
Chris Daughtry is an American singer, songwriter, musician, and actor. He is the lead vocalist and rhythm guitarist for the rock band Daughtry. Chris placed fourth on the fifth season of American Idol. He is the son of Sandra Corrine (Crowder) and James Kenneth “Pete” Daughtry. He is married to Deanna, with whom he has four children. Chris’ paternal grandfather is James Calvin Daughtry (the son of John Leonard Daughtry, Jr. and Mary Wallace Spivey). James was born in North Carolina. John was the son of John Leonard Daughtry, Sr. and Annie Thomas Brown. Mary Wallace was the daughter of Eugene McNider Spivey and Mamie Alice Brewer. Chris’ paternal grandmother is Barbara Jean McDonald (the daughter of an unknown father and Lula Alice McDonald). Barbara was born in North Carolina. Barbara’s stepfather was Roy Oscar Walters. Lula was the daughter of John Dennis McDonald and Alice Shaw. Chris’ maternal grandfather was James Arthur Crowder (the son of Willia Thomas “Tommie/Tommy” Crowder and Martha Jones). James was born in North Carolina. Thomas was the son of Tiberius “Tibe/T. B.” Crowder and Christiana Liles. Martha was the daughter of William H. “Will/Willie” Jones and Roxie I. Cox. Chris’ maternal grandmother was Dora Bessie Vaughan (the daughter of Vernon Russell Vaughan and Dora Maude White). Chris’ grandmother Dora was born in North Carolina. Vernon was the son of John Cornelius Vaughan and Bessie May Hargrave. Dora was the daughter of Joseph Walter White and Dora Corrine Pritchard.